House Finch with early (?) conjunctivitis. Notice swollen eye, half-shut. And this week an islander contacted GROWLS about a sick Spotted Towhee that probably had Avian Pox, although this was not confirmed before the bird died. This viral disease, which occurs in the wild, has various forms but all are characterized by growths on the body. GROWLS conferred with Dr. Helen Schwantje, the B.C. Provincial Vet. She asks that any Gabriolans who see sick towhees try to get a photo then call the GROWLS pager at 250-714-7101. Avian Pox is not a known zoonose but anytime you handle wildlife, do wear gloves and be sure to wash your hands thoroughly afterwards. Here is a WILDLIFE FACT SHEET by Dr. Schwantje on Avian Pox: Avian Pox. 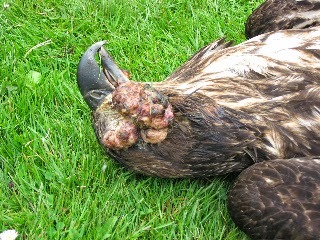 For those with strong stomachs, here are two photos of a young eagle with Avian Pox that GROWLS saw in 2008. 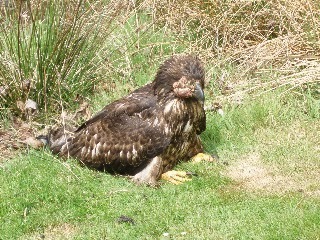 Young eagle with Avian Pox. Close-up of young eagle with Avian Pox. If you think you see a sick bird in your yard please be sure to call GROWLS. And if the sickness is confirmed, take down your feeders for several weeks and clean them thoroughly with a solution of water and bleach (9 to 1) before putting them up again. This will help stop the spread of the disease. 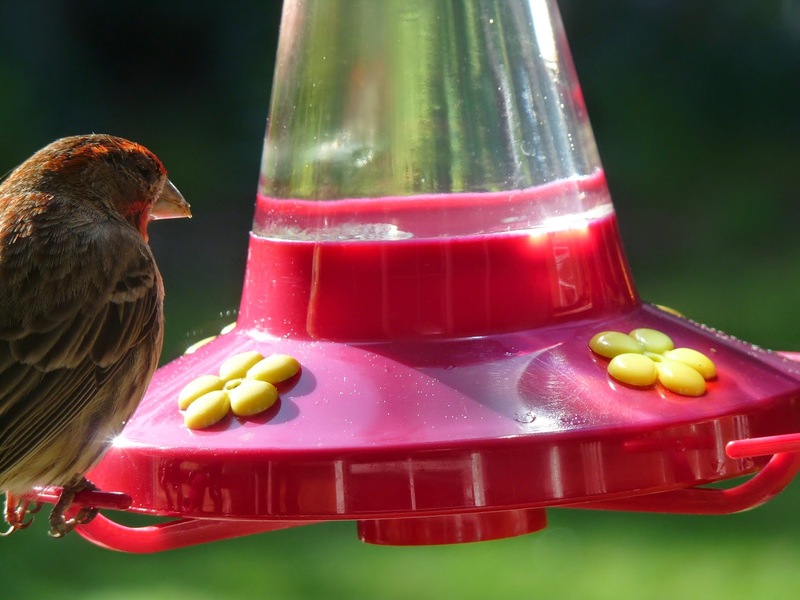 Also, be sure to thoroughly clean the area UNDER the feeders where bird droppings carry bacteria. Want to share your observations? If you're a member of Cornell's Project Feederwatch, you can report your findings there. See Track Sick Birds for information.